The Super Nintendo completely took over my imagination in the early nineties. In an age without Internet or anyway to see upcoming games in motion, I was quite intrigued with the whole Mode 7 concept and had to imagine how F-Zero would look like in motion from the many pictures I found in foreign video gaming magazines. I was lucky enough to own a Commodore Amiga 500 and thanks to some quick trips to the arcades, for me the racing genre was divided into top view 2D affairs (Micro Machines), single screen isometric racers (Super Off-Road) or sprite scaling based (think the Top Gear trilogy on SNES or Sega's Out Run). The still screens looked amazing, with much more colours than I was used to play with. Then the whole futuristic, hover racing theme was also something quite new and alluring to my young mind. F-Zero was the first game I picked up when the machine was finally released in my country. Sure, the amazing Super Mario World was bundled in the box, but F-Zero was the first cartridge that was inserted into the newly-connected console. No loading times, the TV immediately turned to the main menu, displaying the logo and very catchy music. However, before I grabbed the joypad and press Start, the text was gone and the CPU-controlled Blue Falcon started racing around Port Town. That moment is unforgettable. Not only Mode 7 managed to shift around the faster and smoother than anything I had played, there were animated lights simulating buildings below the track. It was way more impressive than anything I had imagined and I knew right there that game was going to steal a lot of my free time - in fact, you could often find me sketching the game's vehicles during boring high school classes. Some people feared that both F-Zero and Pilotwings were going to be little more than tech demos for Mode 7, but this was Nintendo. Each of them are deep, rewarding experiences which at first seem simple to pick up but become harder and harder to master as you keep playing. Not only was I eventually rewarded with "Master" difficulty, but eventually realized that the reason why I was unable to beat the lap records that came printed on magazines was because I was trying to lap NTSC version times on a PAL machine. Ah, innocent days… oh, and I did send my friends into a frenzy when I was finally able to pull this one off. A few years later and like most of my friends, the PSX and CD-ROM media was all the rage and had taken over my living room. Amazing games beyond our wildest 16-bit dreams seemed to come out every week. However Nintendo decided to keep cartridge format for their Nintendo 64 home console, skipping straight past the 32-bit architecture. Wise or not, the N64 arrived late and with few games, but it was hard not to eye their weird controller that didn't make any sense until the first time you picked it up and played Super Mario 64. And soon after, an amazing sequel to Star Fox came along with a rumble pack device. Ocarina of Time was repeatedly reviewed as "the greatest game ever" while Mario Kart 64 took all the fun we had on the SNES into proper 3D and made full usage of the console's built in four player support. But guess which game finally made me put my PSX away… that's right, my very first N64 game purchase and also the first going into the cart slot: F-Zero X. Looking at static screens you might be mistaken into thinking that the graphics are incredibly dull and simplistic, but when you see it in motion it all becomes clear. It runs at a smooth, constant 60 frames per second while shifting around thirty racers at speeds over 2000 km/h. Never mind Mode 7 flat surfaces, the tracks in F-Zero X had loops, tunnels, half pipes… if you could imagine it, Nintendo probably added it in there somewhere… even Rainbow Road! It introduced a risk/reward mechanic with the boost that could now be used on demand after the first lap but it chipped away at your shield energy. The amount of rewards the game threw at you was staggering. There were dozens of new vehicles and their pilots to unlock, Jack, Queen and King League would hide Joker Cup around the corner. Beat that and you unlock the nightmarish X Cup where each time you play it would generate 6 random tracks, most often than not impossible to properly navigate by the CPU opponents (watching 29 racers flying off the track and explode one by one was an impressive fireworks display). F-Zero X was quite an evolution in the series and it ramped up the difficulty by many times from its original SNES outing but sticking with it delivered an incredibly rewarding experience. The unique "Death Race" mode where you need to take out (as in attack and explode them, another new feature in the series) all other 29 opponents in the fastest possible time was also quite relaxing, for some reason. Truly a sequel worthy of its namesake, if I was a fan before on the SNES, I had surely tuned into a fanatic on Nintendo 64. If only Nintendo had released the 64DD in the West, maybe I would have been able to make my own vehicles and draw my own tracks… but it was not to be. Eventually the Nintendo 64 died out, much like the SNES its life cycle was complete and games became few and far between. It was at this time I had a sort of mid-life (mid-youth?) crisis and I was began really missing 2D sprite art games. As such, I hooked up my Super Nintendo, bought a Sega Mega Drive and began picking up ridiculously cheap second hand games wherever I could find them. Since I gave the "next generation" a pass, I was not at the time interested in the Dreamcast, Xbox or PlayStation 2. But I did pick up a "new" console: Nintendo's Game Boy Advance. Up to this day, it's the closest portable I own that resembles a pocket Super Nintendo. My first GBA game? You guessed it correctly again! The 2001 launch title F-Zero: Maximum Velocity. It was back to the roots here, a game that could pass as a direct sequel to SNES F-Zero (no, those BS F-Zero shenanigans do not count). Thanks to the extra processing power of the GBA, the Mode 7 tracks now have multiple layers, something that helps further the illusion of the race taking place high in the sky. Stick with it long enough and you will eventually unlock the Falcon MKII, which we can assume it is piloted by Captain Falcon's son (because of the game's timeline). In a somewhat unexpected turn of events, F-Zero became a popular 51 episode anime series both in Japan and the West and that meant tie-in games. Two of them in fact - but sadly only one arrived in America and Europe. F-Zero: GP Legend remains a curious mix of the SNES original with gameplay mechanics from Nintendo 64's F-Zero X - namely the turbo boost and the side attacks. A new story mode added several characters and plots from the anime and was a nice addition from the regular Grand Prix modes. It should not be much of a surprise if I tell you that this cart is usually found on my Game Boy Micro slot. It is just perfect for small play sessions, but still offers a lengthy challenge if you choose to stick with it to the end. Sadly its sequel F-Zero Climax stubbornly remained in the shores of Japan. It included the one feature I always wanted as a kid playing on my SNES: a top down track editor that would allow you to make the most nightmarish swirly tracks or just plain straights with dash arrows and jump ramps. With over fifty tracks to race on, this third GBA outing is - in my humble opinion - a great import pick up for fans of both the series and the console. On January 2nd 2004, I bought my GameCube. I was in college, money wasn't exactly abundant, I already had a PlayStation 2 with a few games including WipEout Fusion but when I first saw the e3 trailer for F-Zero GX, I knew it would become an itch I would never be able to scratch unless I got myself Nintendo hardware. So F-Zero GX was not only my very first GameCube game, it was in fact a game I bought months before I owned the actual console. One of my best friends had a launch day purple GameCube so I bought the game and left it at his house. He became quite a fan of it, so much so he ended up buying me a new copy so he could keep the game. In an unexpected twist of events, I ended up having to buy his Memory Card once we discovered that my save game could not be copied or moved to another (it's one of the few games with protected GameCube save data). That memory card is still hooked up on my original model Wii where it holds the achievements of the entire month of January 2004 in its flash memory. Super Monkey Ball - that I also picked up at the same time - had to wait; F-Zero GX was inside the GameCube disc tray four weeks in a row. I am unsure I possess the writing skills to transmit to and every one of you exactly how special GX is for me, but I will still try. As a gamer growing in the 16-bit wars, the fact alone that the game was being developed by Sega's Amusement Vision under supervision from Nintendo was outright bizarre! The game engine itself runs on a modified version of Sega's early GameCube hit Super Monkey Ball. I say "runs" but I should have really said "flies", because it is the only game that ever gave me vertigo when diving airborne at 4000 km/h. Locked at a stunning, smooth 60 frames a second the GameCube hardware also meant that there was no longer any graphic / processor limitations like in the N64 and it really shows; you will be flying through both familiar and new tracks so fast you might miss the incredible detail given to each and every one. It still puts most games of this current generation to shame, which is no small feat for a title made twelve years ago. Story mode is the main new addition to the tried and tested formula, with courageous players taking a seat in the Blue Falcon as our hero Captain Falcon. Each of the nine missions will test your gaming skills to the absolute limit. This is where most people shy away from this game, but for those like me who endure will find out that the game is not impossible, it's not even unfair or broken, it is just incredible layers of challenges that - if you put the time and effort into - you can beat. And when you do, the game rewards you accordingly with extra content that nowadays you would just pay for in DLC packs; new drivers, new machine parts (the vehicle designer from F-Zero X Expansion Kit makes a glorious return here) new tracks and new championships are up for grabs, including the entire content of F-Zero AX, the arcade counterpart that had a GameCube Memory Card slot so you could take your custom machines to and from the cabinet. As you might imagine, I feared the content of the Arcade would be impossible to unlock, but Nintendo and Sega wisely made it possible to access all of it without ever touching the arcade - but you really had to earn it. And earn I did - my save data has everything unlocked yet I keep returning to the game; there is hardly a month this GameCube disc doesn't end up spinning on my Wii, where it runs in its full 16:9, 480p glory using the Wii's superior quality component cable for the very best picture possible. Why? The simple question is "chaos". It does not matter how good you think you are, how great your customized vehicle stats are and how well you know the upcoming track layout. With 29 other racers on track and each doing their own thing at speeds over a thousand km/h, something, somewhere will go wrong. In the best case scenario, you will end up several places behind on the finishing line and cost you just enough points to ruin your chance at first place overall. Worst case? You will fly so fast off course and explode you won't even have time to react. But the game throws this chaos at you providing such satisfactory visual and audio spectacle that it's really hard to stay mad at it for too long. Speaking of audio, the amount of music in the game is outright insane. Not only is there music for each racing venue, there is also a theme song for each of the forty one drivers, covering a wide genre of both rock and electronic genres with even chiptunes making an appearance. It's curious to consider that there is over two hours and twenty minutes of music in this GameCube mini disc while the Nintendo 64 music tracks had to be turned into mono to fit onto the cartridge. There is nothing I can say about this game except that I love it. It's the reason why I still play video games up to this day. It is by far the best execution of a futuristic racing video game concept. E3 is fast creeping up again on us. Every year for the past decade or so, I set myself up for disappointment. I am always paying extra attention to the word F-Zero coming up (imagine my disappointment when Miyamoto began playing Mute City on Wii Music back in 2008). Yet, its DNA is more than present in our everyday Wii U gaming. 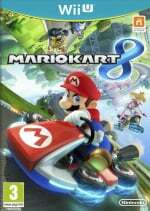 Mario Kart 8 was a genius way to please both Mario Kart and F-Zero fans, but are they one and the same? Speaking from my personal opinion, they are not. Don't get me wrong, I love Mario Kart as much as the next human being; its weapon-based gameplay is brilliant and even more so in the full HD glory provided by the Wii U. But did you, dear reader, put on a big smile when Nintendo announced Mute City and Big Blue in the DLC packs? Do you race around in the Blue Falcon with your Mii wearing Captain Falcon's outfit? Are you addicted to 200cc? For many years I believed myself to be alone on this, but in the vastness of the Internet I today know quite a lot of people with similar experiences to mine regarding F-Zero. Miyamoto has publicly stated that he was not satisfied with how the collaborations with Sega on F-Zero GX and Namco on Star Fox Assault turned out and that he would only bring F-Zero back if he could find a new way to improve the game or a new way to play it (Captain Falcon's Twisted Road, anyone?). But is all of this Mario Kart 8 DLC a test to see how the audience reacts to F-Zero-like speeds? Are we being groomed into a new F-Zero? Is this DLC all we will ever see of F-Zero this generation? Will F-Zero come to… mobile smartphones? I do not know what is happening inside the magic walls of Nintendo's Kyoto headquarters, but I am already counting down the days until E3… to bitter disappointment or the best video gaming news I get all year is yet to be seen. But we should not be mad at Nintendo. The industry changed so fast overnight it is hard to keep up with current trends. I choose to be grateful instead for all the amazing memories I already have, and for the many more I will continue to make with these wonderful racers. I'm pretty sure there won't be a new F-Zero for Wii U coming. If NX is the next powerful console Nintendo is going to make, then that's the platform I want to see a new F-Zero on. I still haven't completed all the Story mode games on Very Hard, so I have time to wait (it's only been 11 years since the last one, lol). Oh, and there's still Time Trials and it's unlikely I'll ever beat every staff ghost. Wow, so many words! If you do manage to read it to the end, please have this four disc F-Zero tribute album I made last year as your reward. Don't raise my hopes for F-Zero, dammit! I've just begun letting the dream go, and now you go and reminisce about the franchise while theorizing it might be an E3 reveal! ARGH! MK8 DLC packs 1 and 2 to me confirm the death of the franchise. I have no hope of the franchise ever returning outside of past games via VC (X and GX for Wii U seems reasonable). Hmm... you guys are bringing my hopes down (even) lower. A new F-Zero could be one of the greatest future racing games of all time, of any type/genre of racer for that matter, but I don't expect Nintendo to deliver that IF a new F-Zero game EVER even comes out for Wii U. IF it happens I just expect it to fall short for whatever reason. I'd like to be wrong in both ways. Nah, I'd rather have F-Zero on the most powerful Nintendo hardware, that is currently Wii U. GBA had some nice F-Zero titles but if there are ever going to be new or remakes, I want them for home console. I'm just a little worried that Miyamoto didn't like GX since that's easily my favourite title in the series. I love F-Zero, but I understand that the series does not sell well anymore. I won't mind the absence of a new F-Zero if they bring Climax and X Expansion to the Wii U VC. F-Zero doesn't sell well. But that doesn't mean they should stop making them! That just means that they have to pull a FE:A.
I loved everything about gx. More of just that, at just up to date hd levels, would mean me paying double to get it if I had to. @Takerkaneanite6 I think that's a safe bet. I can't imagine Nintendo would want to publish another racing game for Wii U when MK8 is still doing very well. @Tazcat2011 Pretty much. This would be the NX's Killer App. The one that makes people want to buy the system. I wish it would happen, but if I let myself believe I know all I will get is disappointment. I would love to see a new F-Zero at E3, but I don't believe it'll happen this year. After what Miyamoto said last year about a new controller, I'm sure he meant the next console. Because Miyamoto never says something like that without a specific reason (or even a concept) in mind. And yeah, I was totally smiling when I heard of the F-Zero tracks for MK8. I even would welcome an all-F-Zero DLC! A new F-Zero would be fun. Played some GX last year being my first time playing F-Zero and I definitely enjoyed it. If an F-Zero game gets announced, I'll definitely pick it up. "Do you race around in the Blue Falcon with your Mii wearing Captain Falcon's outfit? " ...Well I would, if those darn scalpers didn't buy out the Captain Falcon amiibo. @Chubblings Thank you. I am really sorry for that, the situation over here in Portugal (and most of Europe) is not as bad as in the US, and up to recently I had even seen several Captain Falcon Amiibos lying in on the shelves. I hope Nintendo manages to even things out in time. If you can, try to get one straight out of Japan, there is very little shortage of Amiibos over there as far as my friends who either live or visit there keep telling me. I'm definitely not getting my hopes up. 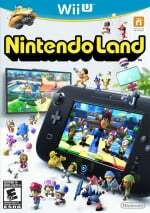 I personally don't see the recent F-Zero stuff in NintendoLand and Mario Kart as a sign of a new game coming, but more as something like Nintendo throwing F-Zero fans a bone. Like, if the NintendoLand and Mario Kart stuff didn't include F-Zero, we likely wouldn't have gotten anything (not counting Smash Bros of course, where F-Zero stuff has been a staple since the very first entry). But that's my personal guess. Either way I'm not getting my hopes up too much. If we get a new F-Zero, WONDERFUL! If not, then.. yeah, expected. ...er, if the last new F-Zero was Climax, which was, what, a decade ago (and in Japan only), how do we know they don't sell well? I could see why the GBA titles didn't, I guess. SNES F-Zero felt... meh to me, and GBA F-Zeros seem to take after it the most. In regards to F-Zero not selling well, I think that is part of the past. F-Zero would frankly need to be reintroduced, and with a proper marketing campaign it could do well. I hope a new F-Zero will be a launch game for the NX. Miyamoto already said that a different kind of controller than the Gamepad would be needed for an F-Zero game so there's no hope for a Wii U version. @Takerkaneanite6 totally agree. I think there's a chance we get a HD remaster of GX with F-zero NX being announced as a launch title. It would serve better to launching a next gen nintendo, the sheer spectacle of F-zero running on ps4 beating hardware would be phenomenal and certain to ring cash registers globally. @DarthNocturnal NEVER DUMB DOWN FZERO!!!!'! Blasphemer!!!!!!!!! I beasted X and unlocked all and it took HOURS of sweat joy, grit, rage, frustration, ruthlessness and tears and loved every damn minute. Moat regarding game ive ever played. Ever. @DESS-M-8 Indeed it was, but GX was even more so because of all the cool craft parts it would unlock. If only we ever get the X Expansion Kit over here... I too favour a new, non-watered down F-Zero. "My favorite game has a lower, more accessible starting point. DUMBED DOWN!" Sorry, but "dumbed down" seems to be something people use without thinking. I'll admit that I didn't invest much time into X (note this was years ago). I just remember that it wasn't really obvious as to how you maintain any sort of lead (well, aside from boost pads). I still have it, so maybe I'll revisit it. But I know GX got some criticism for difficulty. @Shiryu You need not apologise, it's not your fault. It was a somewhat tongue-in-cheek comment. In all seriousness, I really do like this article, as your passion for the series really shows through your writing (gives emotion to the piece) and we seem to share the same opinions on the series. I hate to raise my hopes up, but F-Zero UX (that's what I would call it) could definitely be a plausible possibility (given Nintendo's 'unannounced titles' and their recent venture with Mario Kart 8). At the very least, if there's no new F-Zero for Wii U, I'd at least like a port for F-Zero GX on Wii U, or better yet, a remaster with 1080p/60fps visuals and online...I'm getting a bit ahead of myself aren't I.
I definitely want a new f- zero too, but more than that, I want StarTropics to return, and a new first person Metroid game. @Chubblings I did understand it was tongue in cheek but I still feel bad for owning every Amiibo up to this point while some of my friends across the pond and even in the UK need to pay up to 100 coins for say... a Ness Amiibo. It's a truly awful situation, I would not like to be the parent whose kid asks for a Captain Falcon Amiibo only to tell him "Sorry kiddo, there aren't enough to go round because all the scalpers got them first." Hideous, really... and it speaks volumes about the nature of Men itself. For that I truly do apologise. @DESS-M-8 F-Zero X→F-Zero GX→F-Zero AX→Now F-Zero NX??? F-Zero GX is amazing. I never completed all the story mode missions on Expert difficulty, but I did most of them! Grande artigo de retrospectiva, Shiryu. 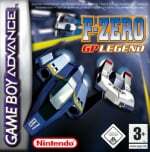 Foi ao ler os teus comentários há muitos anos no GameOver, que resolvi comprar o F-Zero GX e depois a minha vida não foi mais a mesma, claro está. Já conhecia o X, mas na GCN a coisa ficou mesmo a outro nível. Well, Nintendo has been teasing our supersonic thrill inclinations a lot on the Wii U, haven't they? First Nintendo Land, now the superb Mario Kart 8 DLC... I like to be optimistic and believe in the grooming theory. A new F-Zero is bound to happen, whether on Wii U or the next generation, I believe. F-Zero NX makes too much sense. Starfox was at a point almost as dead and now it's coming back on Wii U, Fire Emblem was on a downward spiral until Awakening. Nintendo just needs to reinvent the franchise to a new breed of players as well. I'm with you. You basically described my early gaming years to the tee. 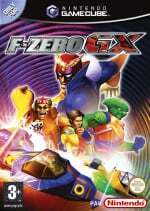 When the GameCube released, I was already such a fan that the one and only game I was looking forward to on the system was F-Zero GX. Ya I loved Mario Kart and some other games but they were a niggling afterthought compared to my hype for the next F-Zero. I too have the AX Cup unlocked Look at it this way- even if we never see the franchise return, we always have GX to fall back on. And nobody can take that game away from us. @JaxonH indeed, the disc is usually on my Wii tray for weeks on a row nowadays. We should not be surprised, after it's the product of the two biggest rivals in the industry working together, of course they would create a monster, a masterpiece for the ages.A shame not even Nintendo seems interested in upping the ante. No F-Zero or Metroid at E3= Nintendo lost E3 for me. F-Zero seriously needs to make a comeback. Though I want a new Metroid or Animal Crossing a little bit more. Just give us GX on the VC and maybe Nintendo will make enough money to see a market for a new F-Zero game! Between the lack of F-Zero on the last two generations of Nintendo hardware and Sony seemingly pulling the plug on Wipeout's studio, I wonder where I'll get my future racer fix. They should test the waters and release an HD remake of X and/or GX on Wii U and see how well that does. Or maybe a 3D remake of one game, HD remake of the other. Whatever the case may be, just see if people actually put their money where their mouths are and actually support a F-Zero title regardless of it being a remake(s). I'm not going to assume the NX is a console so I have no opinions on F-Zero for NX, yet. Well, I could use my Cpt. Falcon amiibo in Wii U F-Zero, that would be nice. To be fair, any new F-Zero at this point would be awesome, whether it's on homeconsole or handheld (though I'd prefer homeconsole). @Shiryu Enjoyed the article! Personally, I'd like a remake of GX on 3DS and maybe an HD remake of X on Wii U.
GX is my favorite racing game ever. And Fire Field Cylinder Knot...I LOVE THAT TRACK!!! Also, I wish this song were in Smash...My brother and I actually played it through our speakers while fighting on the Port Town stage on Smash and IT WAS AWESOME. Skip to 1:58 for maximum awesomeness. formula fusion comes to PS4 and XBO. The stretch goal was only for a simultanious release with the steam version. Now the versions come later. And the less pledges/money are not a result of the missing interest in the genre. They started a horrible kickstarter-campaign with no clear pledges. Read the comments. A new F-Zero would be my first choice. Meanwhile a X or GX version for the Wii U VC would be fine. @Luffymcduck ...don't give them any ideias, I would go backrupt if they made F-Zero craft Amiibos. @Vineleaf Don't worry, just like last generation, Shin'en got your back. We should see the first footage and release date of F.A.S.T. League Racing NEO in this upcoming e3. @Giygas_95 Glad you liked it. Yes, GXon 3DS would be the stuff of dreams, I would gladly tkae thelower resolution for such amount of content in my pocket. Make sure you go grav my F-Zero tribute album from the 3rd commnet of this article, I think you will dig it. I'm sad that I never got the chance to experience F-Zero GX....... Guess I'll have to wait for a remake. I would love a non racing spin off game. While I own a number of the f-zero games they aren't as fun to me as mario kart but the characters are cool. I do think with the falcon amiibo if there has ever been a chance for an fzero announcement it is this year. F-Zero GX/AX was by far the most intense racing game I've ever played. The sense of speed was just so overwhelming particularly when you were in the AX motion simulator. If they do make another sequel I hope they involve Sega again. Now you're the one giving ideas and I want an Astro Robin amiibo on my table. Buy a Gamecube or Wii and get the game. Definetely worth it. @dariusq even if they still have the staff for it considering after recent sega/nintendo games like sonic lost world, generations 3ds and sonic boom were the bottom of the barrel sonic games and the good sega and/or sonic games are on other systems I don't want that. and neither should you. oh and @everybody new controller =/= controller INTERFACE man does nobody know what a interface is anymore! ?